This is a guide explaining Doomsday challenge in Last Shelter. Get ready.... Go! Doomsday Conquest is an event that lasts for a season of usually around 45 days. The rewards for the event are guarenteed orange hero recruitment tickets. You may have chance to get Orange, S1 and maybe even S2 heroes if your alliance scores high enough in the rankings. There are also higher rewards if you rank well in your alliance ranking. It may take a season of playing it to get to grips with everything involved as there are several things to focus on and prioritise. When the event starts your alliance must build an alliance centre and this requires players to donate stone. It is common for alliances to donate stone in advance in preperation for the doomsday event but do not over donate as you score points for donating during the event. 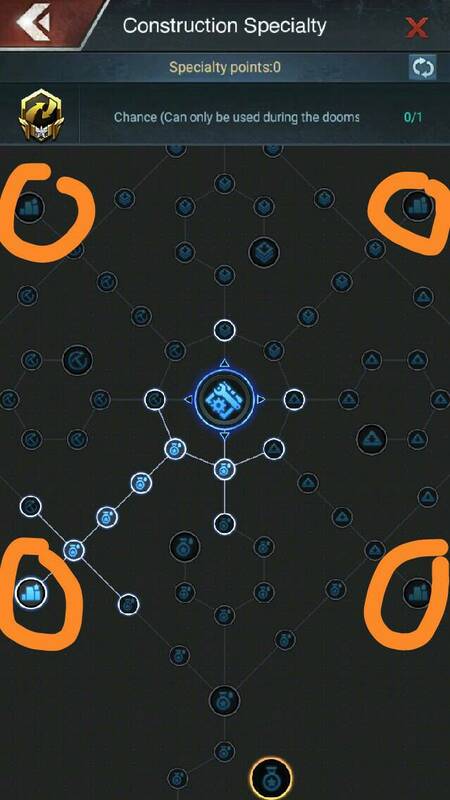 Once the first alliance centre is built you can build honor structures near it and it will be built in resource zone 4 near the edge of the map. Additional Alliance centers can be built later in resource zone closer to the centre and these require a lot more stone. You start by capturing territories that are connected to your alliance centre expanding outwards collecting higher level territories as you go. You can only capture territories surrounding ones that have already been occupied by yourself or someone in your alliance. Avoid capturing to many territories very close to the alliance centre and honor structures as your allies will inevitably build thier honor structures on top of them no matter how much you ask them not to. Avoid the drama and try to bridge a little distance away before capturing any important territories. 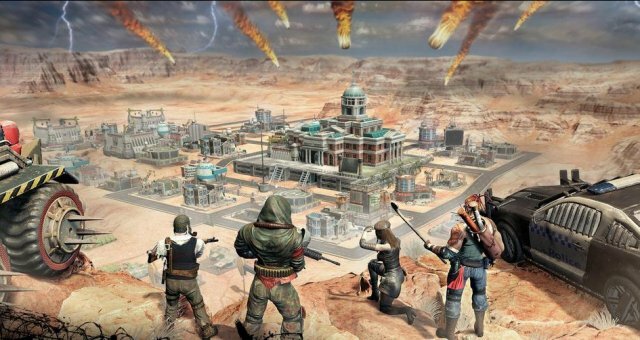 Territory theft is also likely to be commonplace but try to be respectful and don't take territories that players have spent time and resource bridging to as you will only encourage them to do the same and ninja the territories that you build towards. The event is mostly about personal goals as you are competing with players in your own alliance initially but will have to find ways to work together as later into the event other alliances (including those from other states) can declare war on your alliance and invade to destroy your alliance centers and honor structures and take away your territories. After a war the winning alliance will gain a certain amount of the losing alliances points. This is the primary way to gain points and once again the game focuses on combat strength as the primary game winning strategy. Gain honor by capturing territories and levelling up your honor structures. Gain influence by capturing territories of higher and higher level to increase your ranking. Increase your contribution score by donating stone or completing doomsday quests. Unlock Specialistions in one of the three Speciality trees (Resource, Construction, Combat). Virus Research Facility - Gives poison immunity that lets you capture higher level plots without suffering losses and heals your poisoned troops. Processing Plant - Processes infected materials into resources, virus samples and Composite Materials used to level up your honor structures. Special Operation Command - Gives Bonus might and additional bonus might when capturing territories. Guardian Fortress - Gives Bonus resistance and additional bonus resistance when capturing territories. Empty Plots - produces low amounts of Diseased Crops. Waste Farm - produces Diseased Crops. Forest - produces Mutated Lumber. Mineral Deposit - produces Iron Ore.
Oil Deposit - produces Fossil Fuel. Polluted Water - produces Dirty Water. You can only capture a certain number of territores so abandon lower level ones once you have the virus immunity to capture higher level ones. Your territory cap can be increased by spending tickets that you can get as rewards for certain doomsday quests. After capturing a territory it will produce it's infected resource and higher level territories produce more infected resource but be careful about trying to advance too quickly as force attacking plots without the required level of immunity to capture them safely will poison a lot of troops and take many hours and a lot of resource to heal them. Process materials in your Processing Plant to get virus samples to level up your Virus Research Facility (for poison immunity) and composite materials to level up your Processing plant (speed up production), Special Operation Command (More Might) and Guardian Fortress (More Resistance). Diseased Crops, Mutated Lumber and Dirty Water when processed give Virus Samples Iron Ore, Tainted Soil (Not sure how you get this) and Fossil Fuel are converted into composite materials. The primary focus at the beginning of the event should be upgrading your Virus Research Facility to increase your poison immunity so you can capture level 3 and 4 territories without poisoning huge numbers of troops. The second focus should be getting honor to unlock specialties and the first tree to spend on should be the blue Construction tree and head straight for one of the 'Construction Master' abilities that lets you build more honor structures. This rapidly allows you to increase your virus immunity by building a second Virus Research Facility allowing you to capture higher level territories earlier with much lower losses. You need 6 specialisation points to unlock the first and a minimum of 11 to unlock a second. Doomsday also introduces a new BOSS, The Abjudicator, (which is comparitive in strength to a level 10 Wendell). You can kill one of these per day for Doomsday related rewards as well as the normal daily Wendell. The alliance rewards are also doomsday related items. Poisoned troops do not die when attacking territories but are sent to a special hospital to recover from being poisoned at the Virus Research Facility. There is no cap on how many troops can be sent here and you can collect Regeneration serums from quests and abjudicators to speed up healing. At the end of the doomsday event alliance centres, honor structures and territories all get reset but specialisations don't. You will retain the specialisations you have selected into the next doomsday season so spend these wisely and think ahead. Any troops in the hospital will be returned to you without having to pay the healing cost as well at the end of the doomsday event. Doomsday Wars are declarable on other alliances similar in rank to your alliance in the Season rankings. Any R4 or R5 can declare war once the declaration timer starts which is at game reset on Wednesdays, Fridays and Sundays. R4 and R5 can place rally points in the enemy state that give players one free teleport there and back from the enemy state. A number of rally points can be built up to the number of Alliance centres you have placed. A rally point sets a location from which you can start capturing terriitories. When war is declared you start the preperation phase which lasts 6 hours. No points can be scored but you can setup your attack strategy and place rally points. 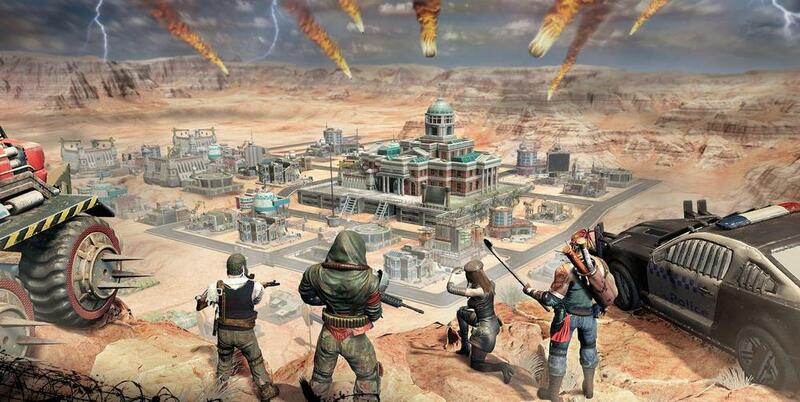 After the Prep phase the War phase begins and you will score points for capturing enemy territories, destorying their honor structures and alliance centres. There is a score modifier based on how many Alliance centres your alliance have built, the more AC's the more points are scored. At the end of the duel the alliance with the most points gains a percentage of the other alliances points. This becomes the primary way of increasing your ranking in the event. There is a secondary win condition when one side has no Alliance centres then a 30 minute countdown timer begins and when this finishes, if no alliance centres have been rebuilt, then instant defeat is declared regardless of points.